More than 23,000 U.S. Postal Service employees accepted buyouts as of Nov. 28 in the latest round of offers, Federal Times has reported. Those who take the separation incentive will receive $15,000. The Postal Service extended the offer to career employees who are represented by the American Postal Workers Union and are 50 years of age and older with 20 years of service, or have 25 years of service at any age. Nearly all 188,000 APWU-represented employees are eligible. Full-time employees had until Dec. 3 to accept the offer, while part-time employees have until Jan. 4, 2013. The Postal Service has not confirmed the updated numbers and will make the total number of accepted offers available after the part-time employee deadline. USPS, which lost $16 billion in fiscal 2012, intends to reduce its workforce by 150,000 by 2015. Lawmakers from both chambers of Congress are working on a bill that would help bring the agency to fiscal solvency. 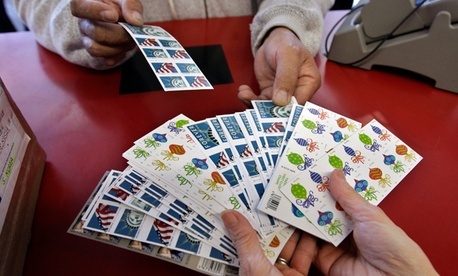 The Senate has passed its version of postal reform, but the full House has yet to act.